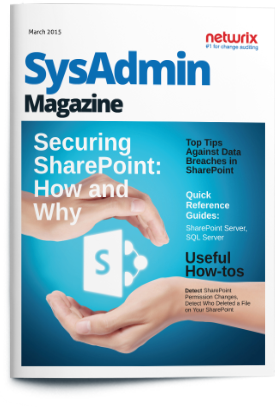 Check out the SysAdmin Magazine edition dedicated to security of SharePoint server: it contains useful tips, guides and how-tos. 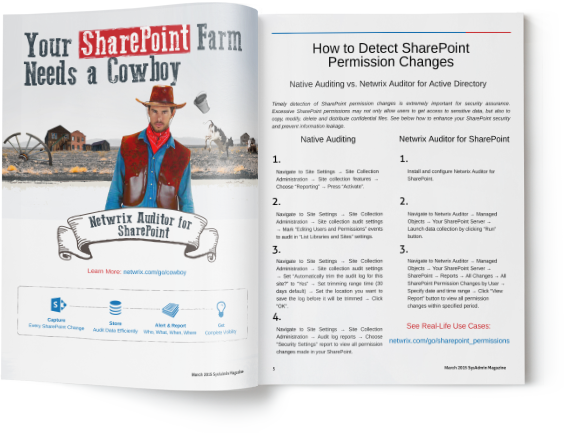 Discover the most important steps to securing data stored on SharePoint server and build up a secure environment for file sharing! SysAdmin Magazine is and will always be free. Download your copy and we'll subscribe you to receive all future editions!